There is a small pond along the road on the adjoining farm. As we drove past it we noticed a Bald Eagle circling so we decided to stop for a photo. 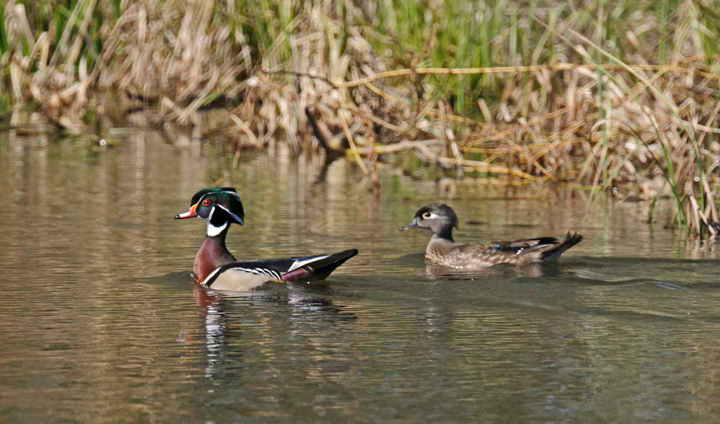 Unfortunately it went behind the hill so I started photographing a pair of Wood Ducks in the pond. I noticed my wife waving at me and pointing. Turned out the Eagle had returned. 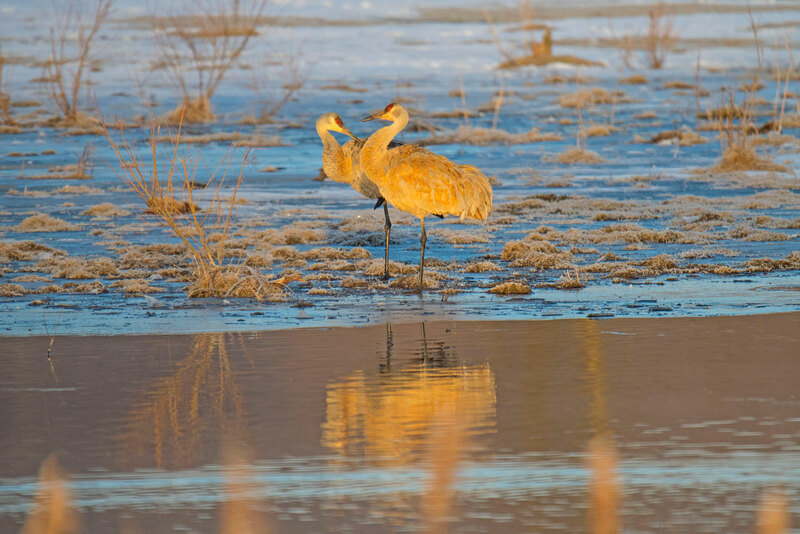 It’s been a wonderful spring at Hoffman Hills Wetlands. 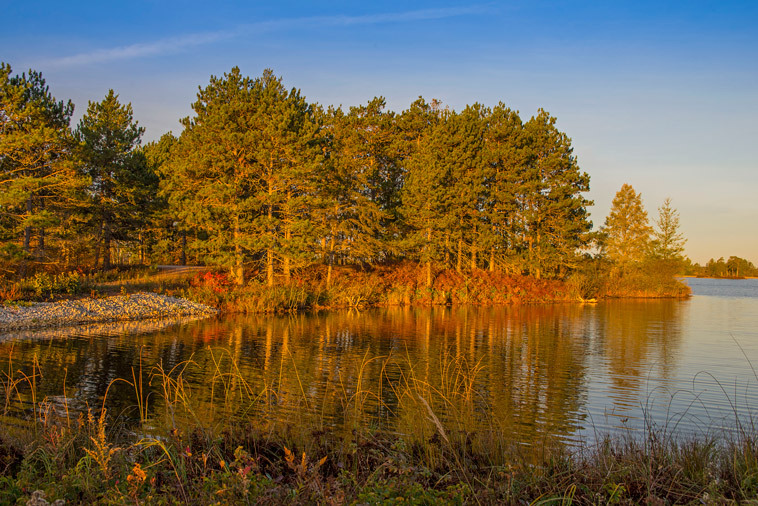 Hofmann Hills consists of three distinct areas, woodlands, prairie and wetlands. Most visitors spend their time hiking to the tower located on a hill in the woodlands. I spend most of my time walking in the wetlands. That’s really where the action is in the spring. This has been an unusual spring. 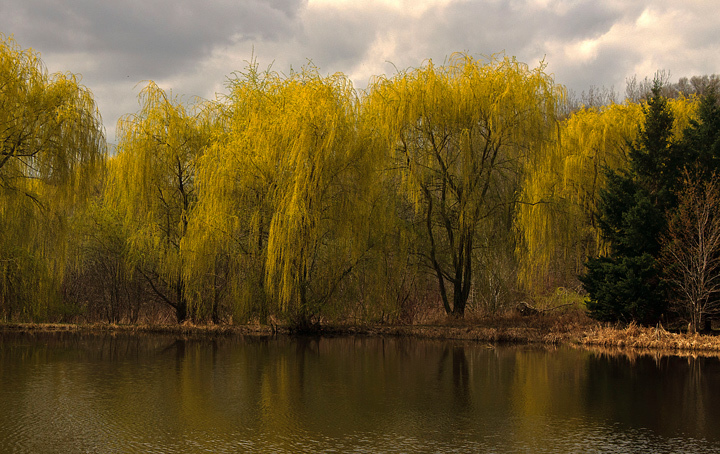 It has been very warm and when the Weeping Willows bloomed in March they were spectacular. 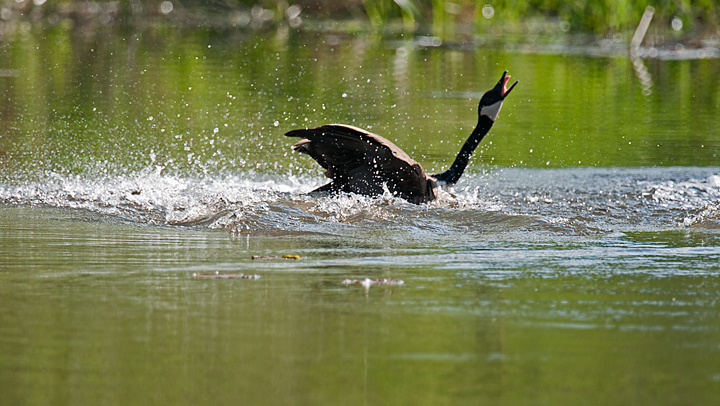 One of the reasons my wife and I visit Hoffman Hills in the spring to watch the Canada Geese. We’ve been doing this for almost ten years now. 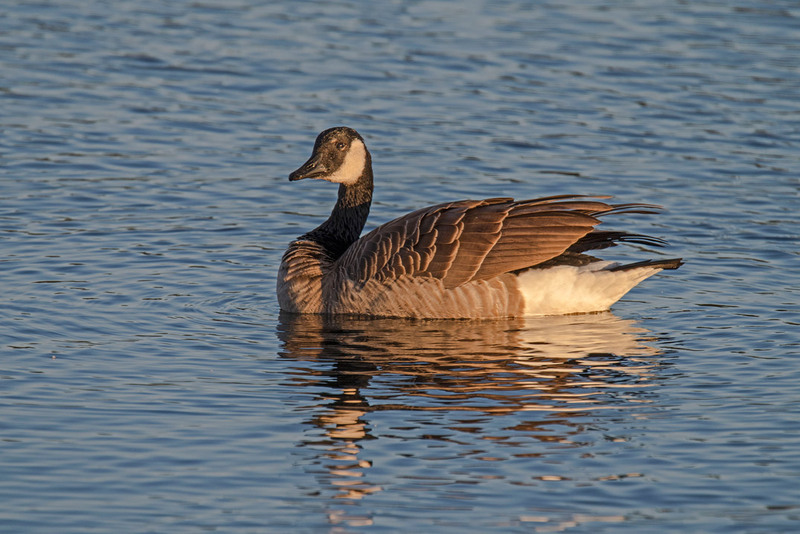 For the first five years there was only a single pair of geese that nested on an island in a small pond. 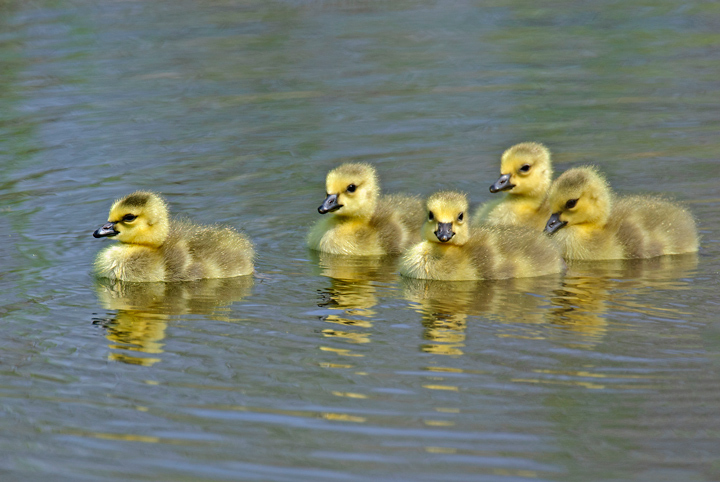 They normally arrive around the first of April and the goslings hatch around the first of May. This year we saw them off of the nest on the third of April. 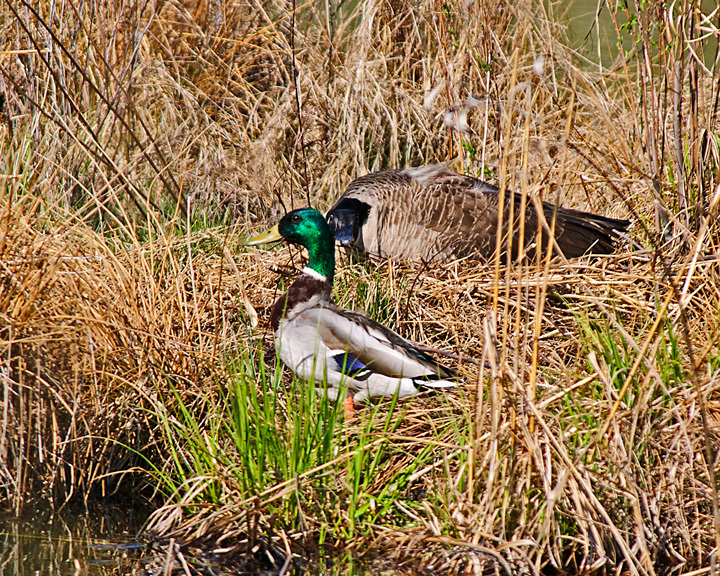 While the female was on the nest we frequently saw a pair of male Mallards with the female. This is something we have never seen before. We were really surprised when we went out to Hoffman Hills on the twenty fourth of April and found the female was no longer on the nest and the male was not to be found. After searching for them we finally found them on another pond with their eight gosling. There was also a second pair of non breading Canada Geese with them. When we approached several of the goslings went off with the non breeding pair. 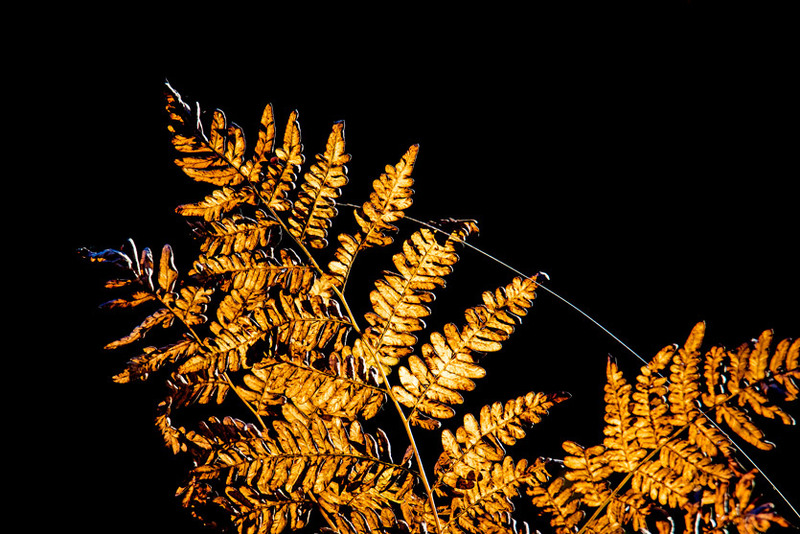 I didn’t have my camera with me and were out of town for several days. When we returned we stopped to check on the gosling and they were no longer around. We haven’t seen them since the first sighting. This is the first time I’ve not been able to photograph them before they left the ponds. This is a shot of last years hatch. 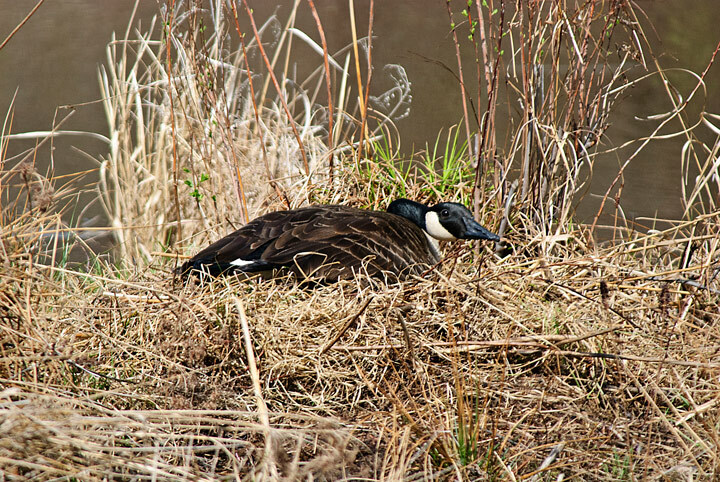 For the past three years there has been a second Pair of Canada Geese that have raised their young at Hoffman Hills. 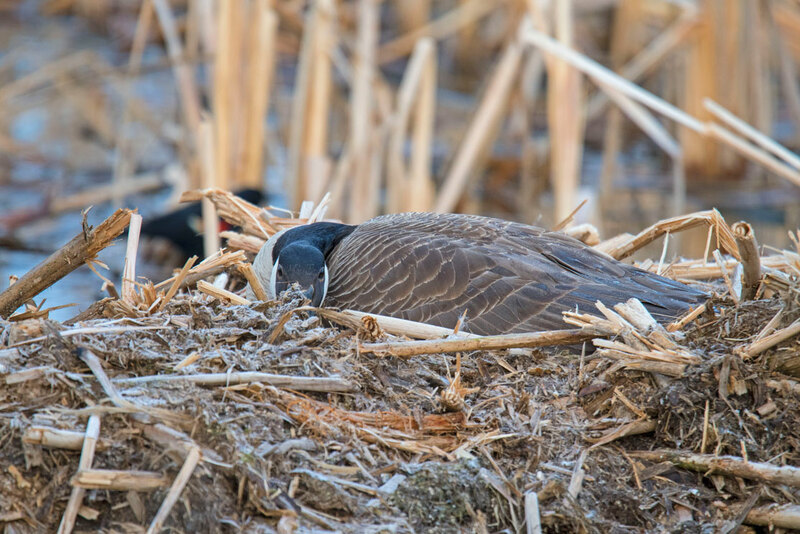 We have never been able to find where they nested but they would usually show up with their goslings at about the same time as the pair on the island hatched theirs. This year they did not return. About the middle of April a pair of Geese appeared but they were apparently a non breading pair. As noted above they were with the breeding pair when we saw the goslings. 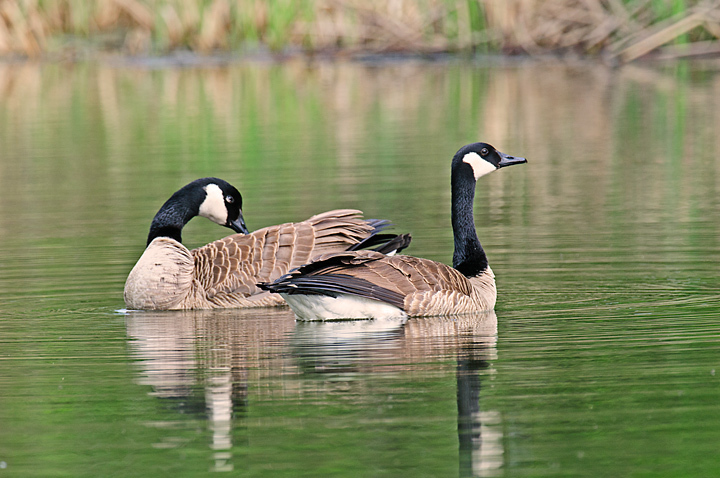 A couple of weeks ago a second non breading pair of Canada Geese turned up at the ponds. 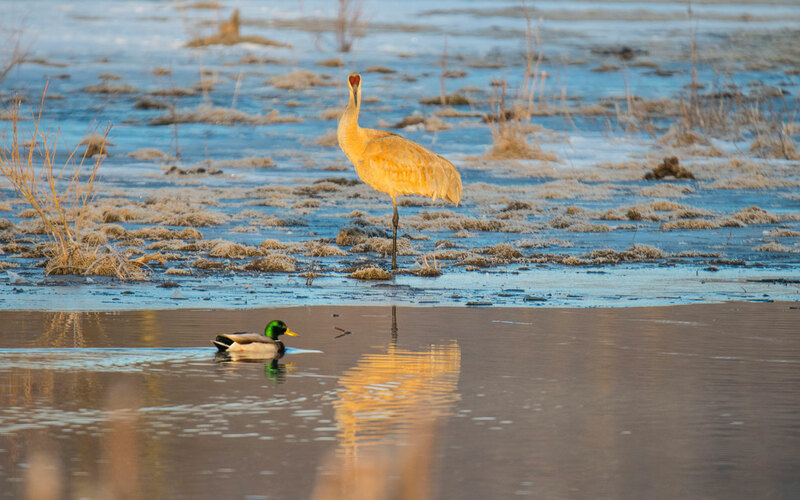 Sometimes both pair are on the same pond other times they are on different ponds. 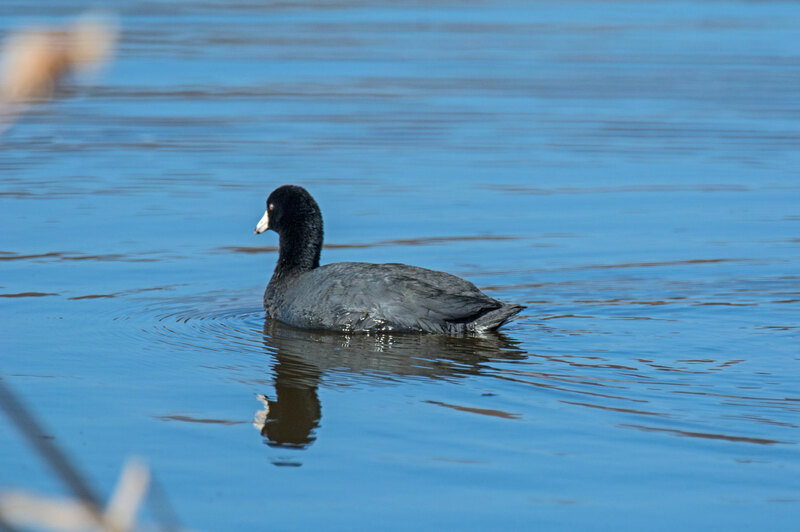 If one pair is on a pond and the second pair flies into the same pond there is usually a fight that takes place with the pair the just landed taking off after the pair that was on the pond. 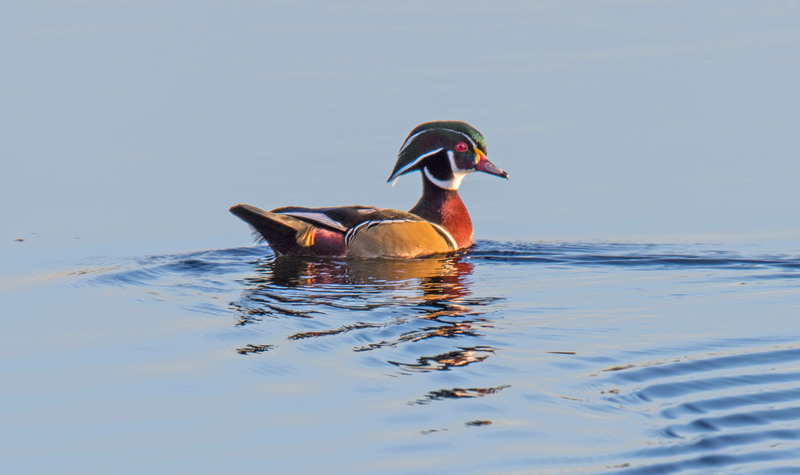 There have also been several pair of Wood Ducks that have been hanging out in the ponds. It’s been hard to get a shot of them because they are usually a little skittish. 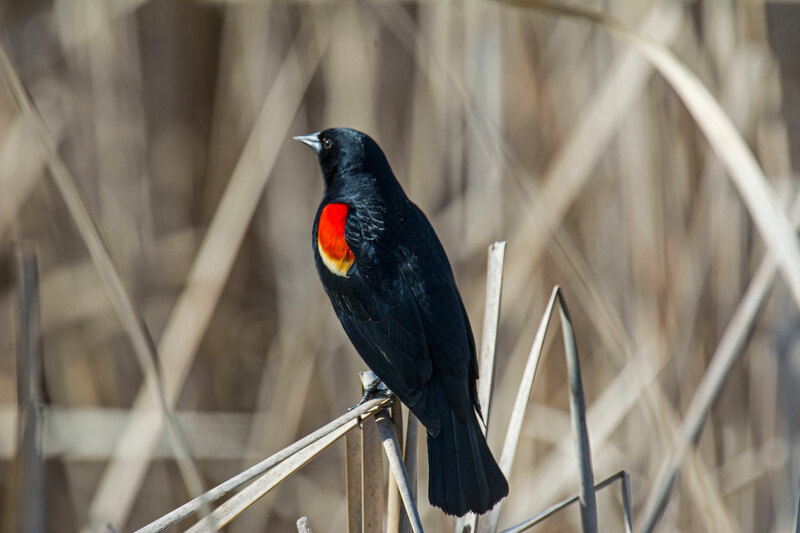 Generally we see them early in the spring but even though there are some nesting boxes out they don’t seem to use them. In the past several years we’ve seen Muskrats in the ponds. They seem to be a bit shy and I haven’t gotten many photos of them. 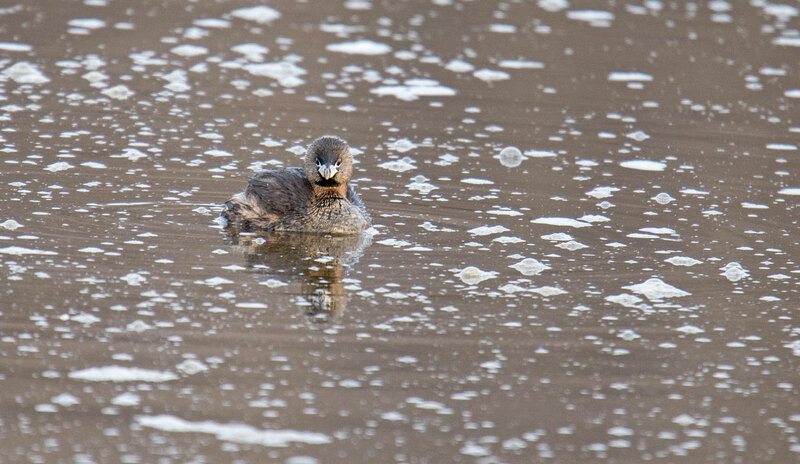 This year we’ve seen them on both ponds. 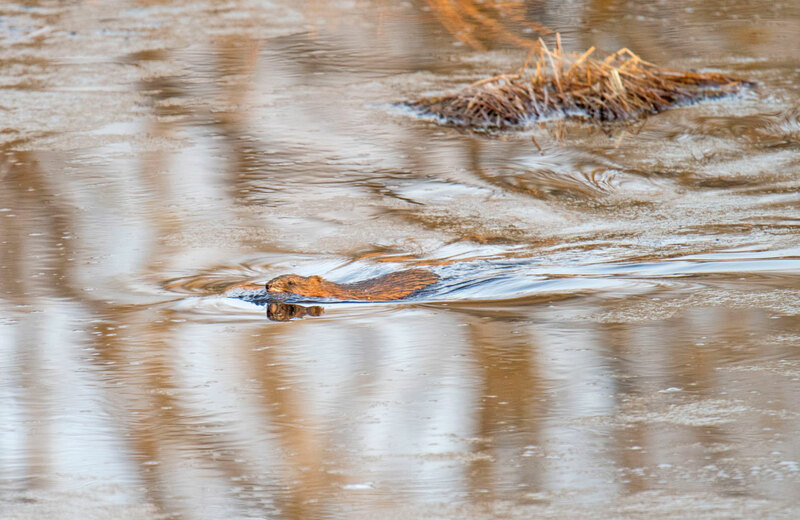 When we were out looking for the gosling this weekend we were able to observe a pair of Muskrats feeding on reeds along the edge of one of the ponds. This year we’ve had more Muskrat observations than any time in the past. 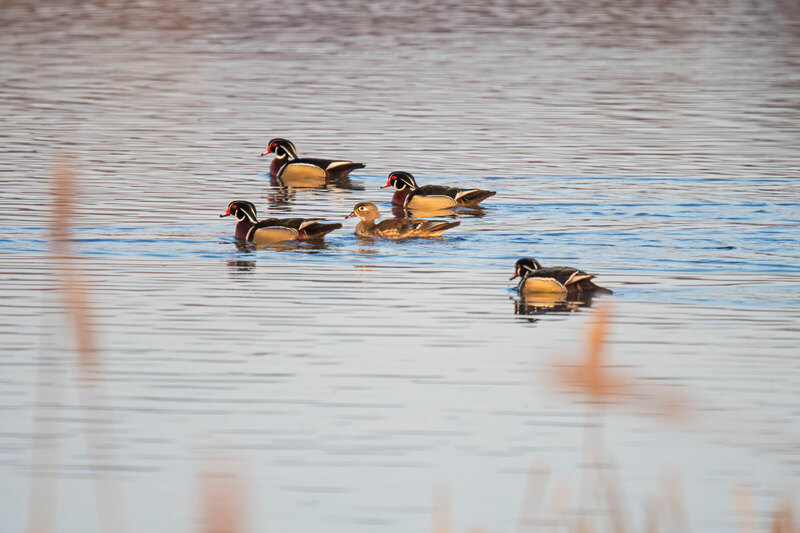 They have been so active that they have undermined the dikes around the pond. Earlier in the week I was busy looking for birds and almost stepped in a hole that had opened up in the dike. A couple of days later I was standing in another spot and the ground gave way to reveal about a two foot deep hole where the Muskrats had dug into the dike. In the last couple of weeks we have been seeing trees that have been cut down along the edges of both ponds. We assumed it was Beavers but have never seen a Beaver at Hoffman Hills. That all changed this past weekend. 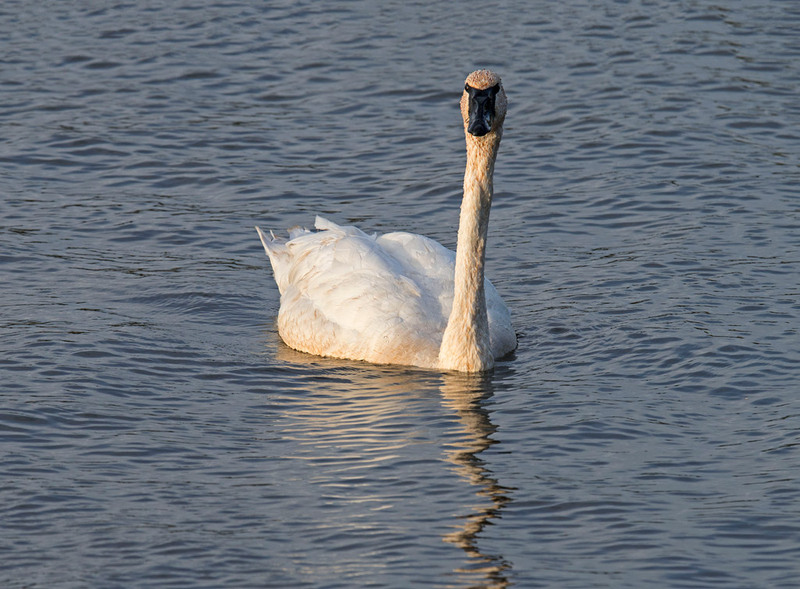 As we were walking along the second pond we heard a large splash as something entered the water at the edge of the pond. We immediately thought it was a Beaver but didn’t see it. About five minutes later we saw it out in the pond swimming around. It was huge. I would estimate it was three feet long. 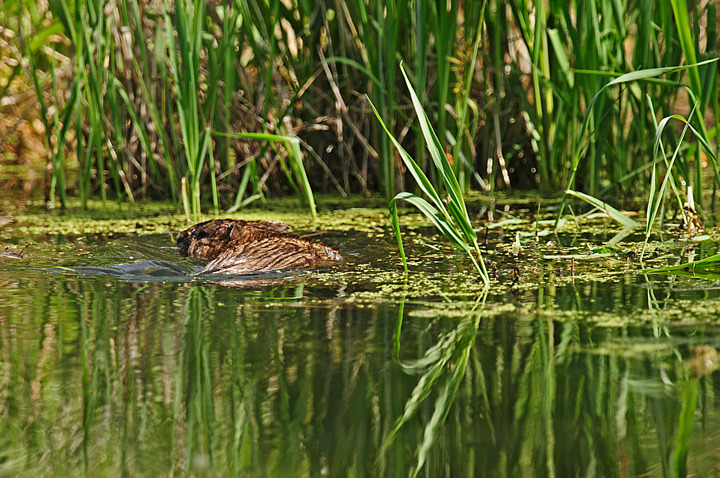 A little while later we saw a second beaver in some reeds along the pond. 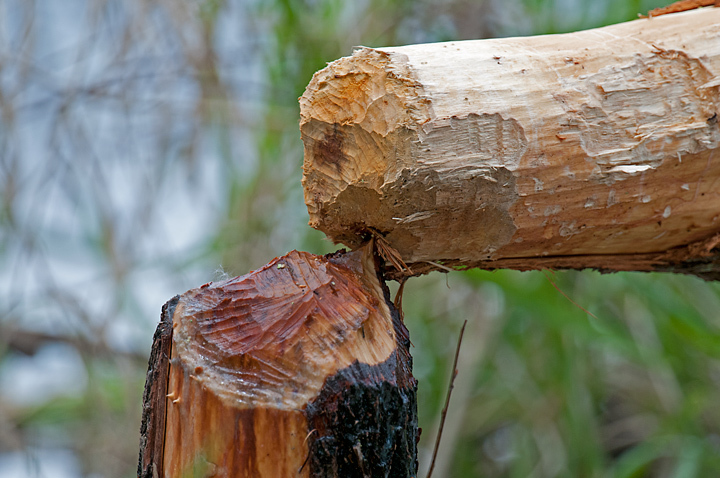 I have been out looking for the Beaver several times since and have not seen them or have I seen any fresh signs that they have cut down any more trees or eaten the ones that were already cut. It appears that they may have moved on. 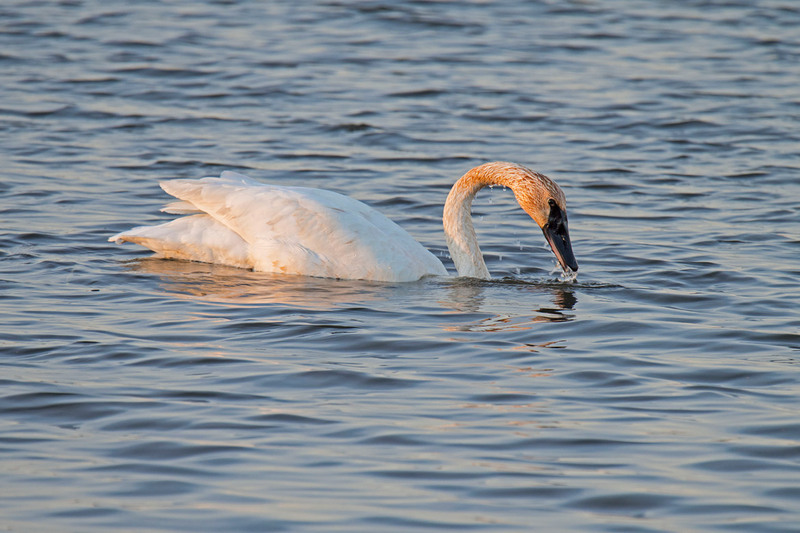 As is typically the case I have the best opportunity to observe wildlife when I leave my camera at home. This past weekend was one of those days. My goal for the next couple of weeks is to get some photographs of the Muskrats and Beavers if the Beavers are still in the area.